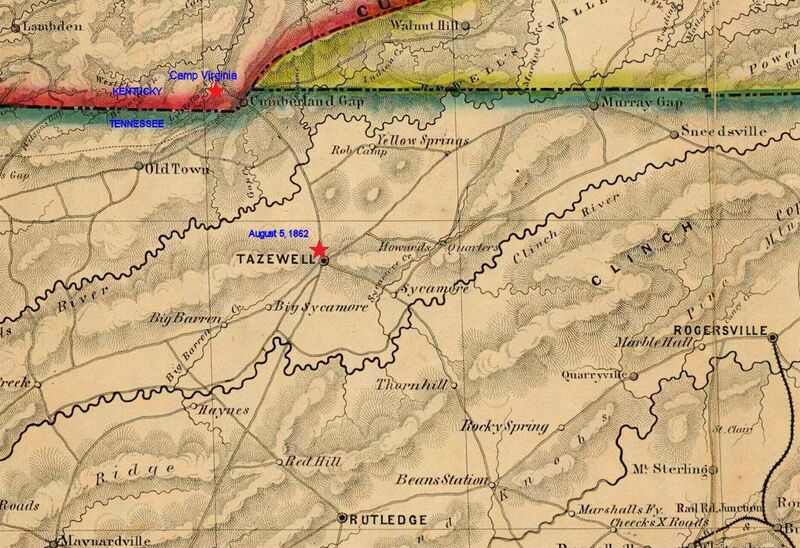 On this day the 16th Ohio remained in camp near Tazewell, Tennessee. The soldiers were due a good rest and would need their energy for events to come the next day. Other elements of Col. John F. DeCourcey's brigade were more active along the Knoxville Road, heading south out of Tazewell, defending against Confederates probing the Union defenses in the area.